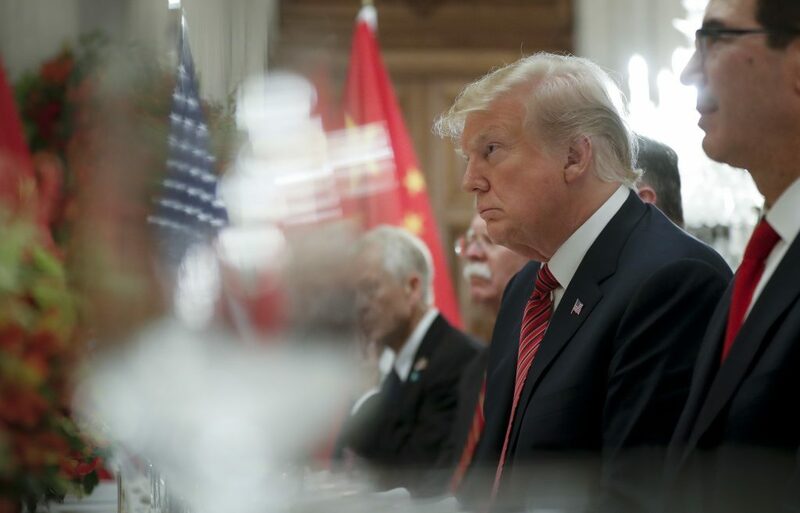 President Donald Trump on Monday said U.S.-China relations had taken a big step forward over the weekend after he and Chinese President Xi Jinping agreed to hold off on new tariffs, and urged Beijing to finalize a trade deal with Washington. “I am certain that, at some time in the future, President Xi and I, together with President Putin of Russia, will start talking about a meaningful halt to what has become a major and uncontrollable Arms Race,” Trump added. In an interview with CNBC on Monday, Treasury Secretary Steven Mnuchin said that President Trump will lead trade negotiations with China along with several of his Cabinet officials.